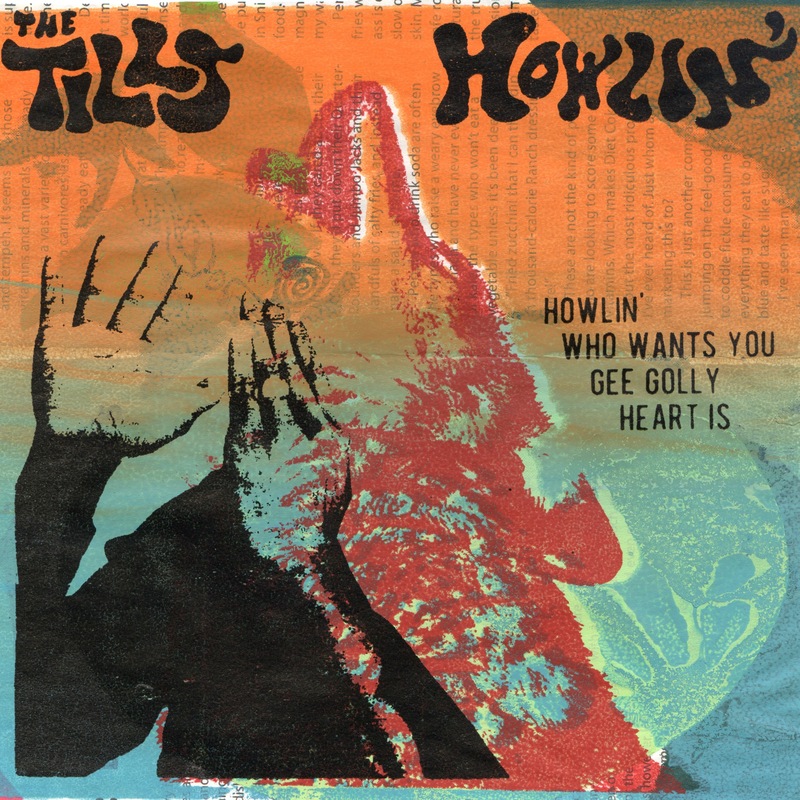 Asheville’s 4-piece The Tills are getting ready to release a new 6-song EP, Howlin’, later this month, which houses today’s premiere: wired-up garage powerhouse “Gee Golly”. Recorded and mixed by the Mitch Easter (R.E.M., Pavement, Ex Hex), the EP contains polished versions of the songs on which the band has been building its reputation so far. In both confident falsetto and eyes-closed belting, lead singer Harry Harrison sings a cautionary tale about trying not to make choices that screw you over later in life: “Got a funny feeling that I don’t think this is working for me/ I can see my life at 40/I can’t tell a single story.” He repeats a chorus of “Why do you care?”, as if to give the ‘idc’-using masses their theme song and drive home the point that nothing’s worth all that anguished sweat. Howlin’ will be released as a red 7” vinyl record and digital EP August 26 on Phuzz Records.